Oculus Rift, the headset that re-ignited the virtual reality hype. 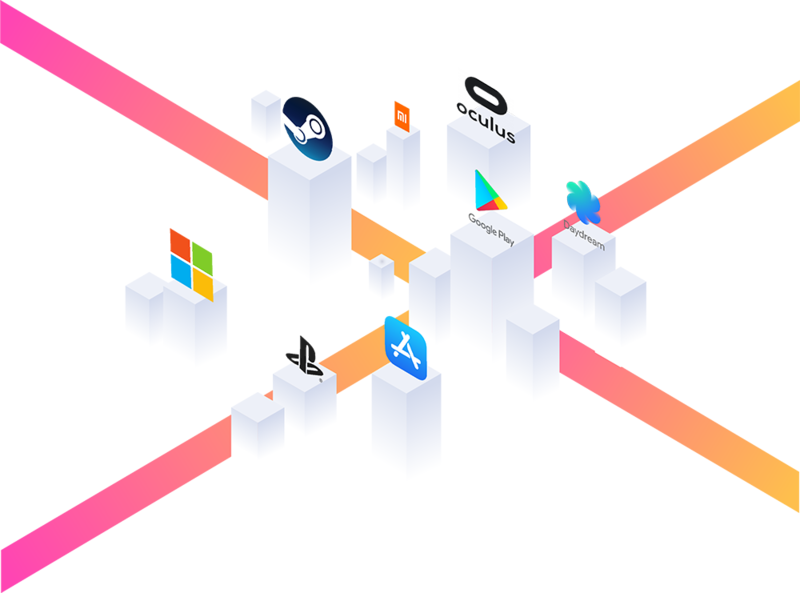 While more and more Rift games, apps, and experiences are being released every day, their documentation is not always as clear as you might like it to be when it comes to figuring out how to publish your own app to the public, especially since Gear VR and Oculus Rift guidelines are often mixed together in the documentation. Very confusing. The review process for Oculus Rift apps is also extremely long and strict, so it pays off to put some extra effort in beforehand. Therefore, this tutorial will try to lift the smokescreen and guide you through the steps required to publish an Oculus Rift app to the Oculus Store. If you’re still in the mood after creating all these store assets, you can optionally add a 1080p MP4 Preview Video together with an optional 2560×1440 Video Cover image to your store listing. You got your app and artwork covered, so now click here to create an Oculus Account if you don’t already have one. Now go to the Oculus Dashboard page, login, and click Create New App to start your app submission process. Select Rift as the platform, fill in your app name, and then press Save and Continue. Click the Build tab on the page you’re redirected to. If you created your Oculus Rift app with Headjack, you’ll end up with an file and an appname_v1.0_b1_Data folder. Since you can only upload one file to the Oculus store, you’ll have to zip the .exe and the folder together using WinZip or WinRAR. You would have never guessed, but to upload your zipped app build to the store, you need to click the big Upload Build button. You can then drag ‘n drop your .zip file onto the page. You’re now asked to fill in all kinds of technical information regarding your app. For apps created with Headjack, all you have to do is fill in the Version number, which is visible in the name of the .exe file, and the Launch File, which is simply the full name of your .exe file, e.g. appname_v1.0_b1.exe. When done, press Upload to start the upload process. Press Save and Continue to move on to the About sub-section. Here you fill in, amongst other things, your website, email address, app name, and app descriptions. Again, press Save and Continue. You’ve now arrived on the Assets sub-section, where you can upload all the artwork you created earlier. And once more, press Save and Continue. Select whether your app is a paid or free. Press Save and Continue for the last time. If you filled in everything correctly during the previous steps, you will now see a list of green checkmarks. If you see a red exclamation mark instead, click the Fix button behind it to resolve the issue. Once everything looks good, the Submit For Review button will become active. Press it to submit your Oculus Rift app for review. Congratulations on submitting your app! You’re probably very excited to see your app live in the Oculus Store as soon as possible. Unfortunately, the guys at Oculus do not seem to be in a rush. It usually takes between 3 to 4 weeks (!!) before they provide feedback on your app submission. Oculus has a support ticket system, but the response time there is also abominable. And even if you get feedback from them, it usually is nothing more than a single line of text saying something is wrong, without offering any advice on how to resolve it. All in all, an extremely slow process, with little to no feedback, and so little room to iterate and improve your app. We would love to see Oculus hiring a boatload of new people to speed up the app review process. Until that time though, we’re gonna need a lot of patience. At the very least, I hope this tutorial has saved you some frustration and precious time. Feel free to leave a comment if you still have questions!